A legacy plan is more than your wealth. It is about your values, your hopes, and your dreams. Spectrum takes great pride in providing high-touch, personalized services, customized to the individualized needs of clients and their beneficiaries. We have spent years providing objective guidance to individuals and families regarding intergenerational, asset protection, and charitable strategies. To that end, we are pleased to offer Spectrum Private Trust as a vehicle to effectuate your plan and carry forward your hopes and dreams for the next generation. Since the family relationship remains within Spectrum, we offer a personalized service experience than would a more institutional provider like a bank. Spectrum Private Trust is a trust representative office of National Advisors Trust Company, FSB, the nation's largest federally chartered advisor-owned independent trust company chartered to operate in all 50 states. Managing the complexities of significant wealth often requires highly personalized programs based on the unique needs of a client. 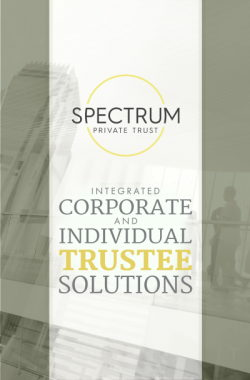 Spectrum offers sophisticated, highly unique solutions to meet the objectives of clients with complex needs. Spectrum has vast experience working with ultra high net worth families that demand more customized solutions to meet their objectives. 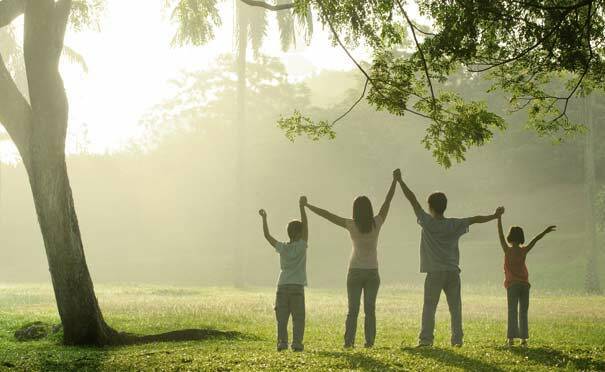 Often, we find that unique services with our family office clients and their families are necessary to establish the framework to create, accumulate and transition wealth, including planning and implementing a plan. This service targets clients with a minimum net worth of $10 million or more or with special situations that may require additional attention beyond our core wealth management service. We are focused on guiding our clients to financial confidence by simplifying their financial lives. Our process allows us to identify issues and find untapped opportunities that have been overlooked by others. We approach our process through a dedicated multi-disciplinary team of financial planners, investment professionals, and tax experts working together for your benefit and success. The end result is coordinated advice, guidance, and education. Gaining insight into a family’s financial wealth and values is central to the development of an effective wealth transfer strategies. We help facilitate the important conversations between you and family members that will result in a sound legacy plan. We assist families in facilitating the management and execution of thoughtful plans to balance, support, and grow individual members while benefiting from the strength and legacy of the family as a whole. Over the years, we have been asked for advice about how to plan for the complexities and issues that accompany wealth. Most often, the questions are not centered on investment management and tax planning but are about how to be effective stewards of family wealth, how to create a plan and how to make prudent decisions for the long term. At the same time, these families wish to avoid the unforeseeable issues that become the source of conflicts, even in the most financially mature families. Many families believe that every individual has a responsibility to their family as well as the community at large. Since giving is different for everyone, we provide the thought leadership and advisory capabilities to structure meaningful solutions that engage and empower all family members in giving back. We provide administration, policy development, and education and advice on various methods to accomplish a desirable philanthropic plan. Trusts offer unique benefits of privacy, continuity and professional management, but can also create unique challenges. When written in a way that truly expresses your wishes, a trust can reward you with the peace of mind that knowing your family’s needs will be well served. We are able to bring effective trust administration to your team of advisors to ensure continuity that the plans that you have developed are executed as you intended.